Here Be Dragons began almost a year ago as Jordan Cobb and Cristina Riegel walked home from a radio play performance of stories by H.P. Lovecraft on Halloween night. That idea grew and grew, much like the monsters of the deep it centers around, and through many more walks, our story began to grow. Slowly our team began to form and before we knew it this seed of an idea about adventure and grown into a fully realized world. Here Be Dragons is a twice-a-month radio drama podcast series, following the story of four women and a submarine. By supporting us you are supporting the growth of independent radio-drama and the forwarding of this assessable and exciting platform. We hope you listen to our Halloween minisode, leave us a review, and invest in the future of our program. Congratulations! 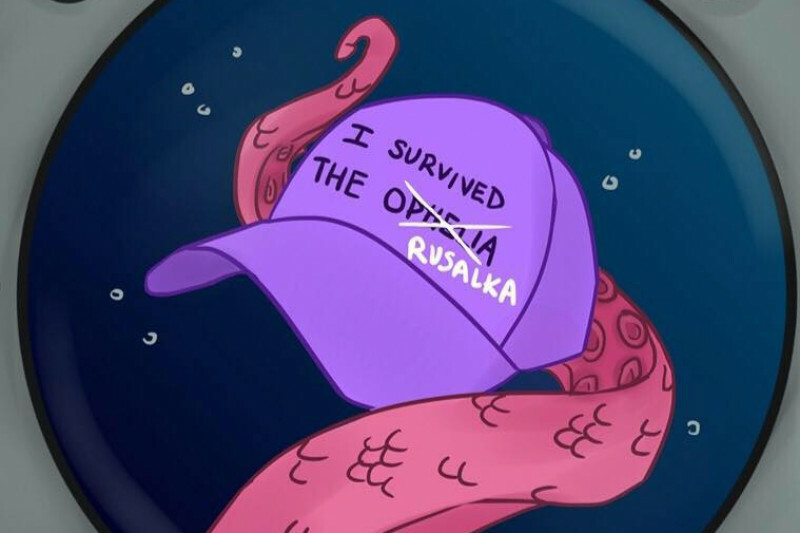 You've made it aboard the USS Rusalka. At this level, you get our undying love and a shout out on our facebook page. All hands on deck. You keep our memory fresh. Join at this level and we will send you our newsletter with updates and behind the scenes content! What would we do without you? Sink, probably. You've gained access to an e-copy of the script and all previous rewards. We all know who's really running this ship. Support at this level and we'll send a printed copy of our poster signed by the cast and crew. You have full command of the ship. Here we will give you a special mention in an episode and a signed box set of season one (with bonus content! ).